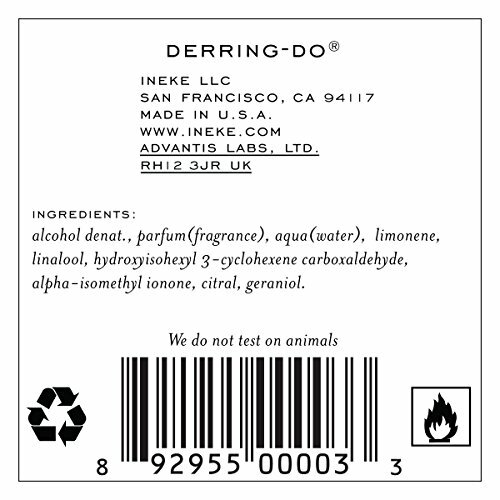 Derring-Do is a darkly romantic men's fragrance evoking spring rain. An ode to the literary rogue, Derring-Do is the Old English term for daring, with its requisite chivalry. Be ready to embark on a new and challenging adventure. Derring-Do fearlessly combines classic fougère notes with the bracing scent of early morning spring rain. The fresh scent of magnolia flowers is warmed with a touch of cardamom and pepper. A refreshing elegance for the modern man. Top Notes: Fresh Citrus Blend, Rain Notes, Cyclamen; Middle Notes: Magnolia, Fougere Accents; Base Notes: Guaiacwood, Cedarwood, Musk.